In light of troughs and darkness, the smallest things can be inspirational. I know what it’s like to be in that trough, and I know what it’s like to feel a bit lost. If you’re an entrepreneur, this can be an hourly thing. Where do you go for inspiration? For motivation when you feel a tinge of failure? Sometimes, you have to dig deep to find the greater goal that reignites the fire within. And sometimes, you need someone to pour a little gas on the spark to get you fired up. I wanted to provide you with a few sites, quotes, pictures that has kept me fighting over my entrepreneurial endeavor, too. Hopefully, one of these will inspire you to dig deep and to keep pursuing greater things for you and for those around you. 101 Best Inspirational Quotes for Entrepreneurs – Business Insider. I take a quote every beginning of the week and plaster it on my social media and on my computer. Great stuff from legends including Reid Hoffman (LinkedIn co-founder), Larry Page (Google co-founder), Estee Lauder (Estee Lauder founder), etc. You’re Never Too Old To Start A New Venture, Look At These Famous Entrepreneurs – Digital Synopsis. Like Gordon Gecko in Wall Street 2 said, “[…] the one thing I learned in jail is that money is not the prime asset in life. Time is.” Don’t waste your time, but also, don’t be afraid to fail. Don’t be afraid to start something. This article has some great graphics of how old different entrepreneurs were when they started their ventures as well as a depiction of various entrepreneurs with their different ideas both successful and failed ones. 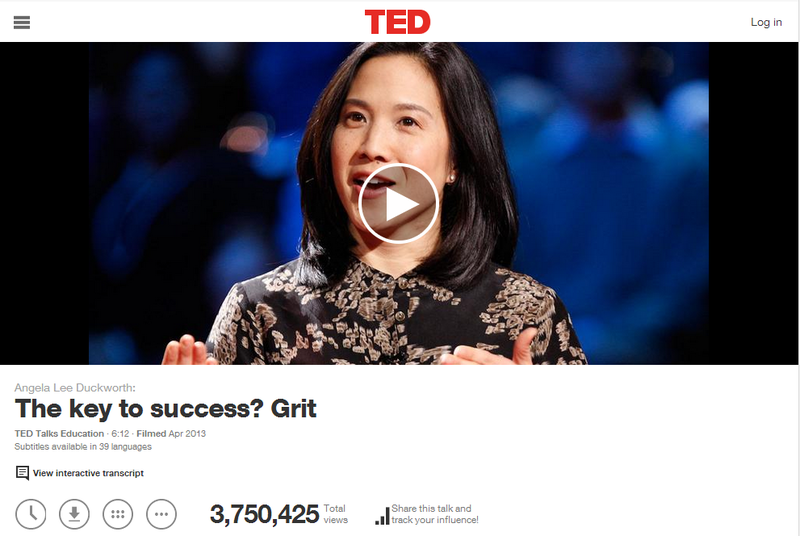 Anything and everything with Angela Duckworth and her studies on Grit… Like her article in strategy+business and her Ted Talk. The Best Motivation by MuscleProdigyTV on YouTube. Just watch it. It’s motivating as heck. There’s a touch of body building in it, but everything about it can be applied to what you’re doing, what you’re trying to achieve. “11 Things I Wish I Knew When I Started My Business” by Stephanie St. Claire. I wrote about my take on Stephanie’s article in a post “Lessons from a Blog: I’m Picking Up What You’re Putting Down“. Reading about her journey not making money and her perseverance was inspiring as it paralleled many aspects of my own journey. There are TON of inspirational stuff, but I just can’t seem to find them right now. I’ve gotten a mental block. 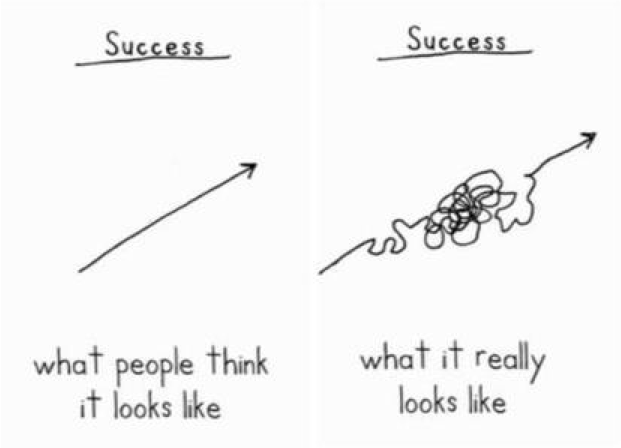 I think in the end, the below graphic is so great, and so true. I’m going to go ahead and make a stop right here like a bus. I’m going to share a somewhat long story below, so you can quit reading here, if you’d like. If so, perhaps you can share some inspirational quotes, stories, articles, or videos of your own? How do you keep motivated? I love soccer. It’s the greatest passion in the world for me. Heck, I ran away from home once because my dad told me I wouldn’t be a pro when I was young. Up until high school, I hadn’t played in a competitive league — just rec ball. My freshman year in high school, I was given little chance to make it onto either the JV or Varsity team competing against some really great players who had played at the top level of competitive leagues (Classic, Premier…). I practiced and practiced… a lot on my own. And freshman year, I made the JV team. It was one of the greatest moments in my life. We went undefeated — something like 11-0-1 or 10-0-1 scoring 39 goals for with only 1 against. Sophomore year, I tried out again. I made the JV squad again, and a few of my peers got pulled up into Varsity. That year, I also earned the Coach’s Award. Junior year… this was it. This was my year to shine! My year to break into the Varsity squad. I played pretty well, and was confident to get in, even riding the wave of the Coach’s Award from the year earlier. Come time to check the board for my name… NOPE. I didn’t make it. In fact, I wasn’t even allowed to play on the JV team. It was the HARDEST day of my life. Having to traverse the halls with all my peers knowing that I didn’t make the team was extremely difficult. It was probably the hardest day of my life holding back tears throughout the day. That day, I went to the park on my own, and just practiced. I did that just about everyday after school to get ready for senior year tryouts vowing to make the team then. Come senior year, I was stoked. I had joined some competition teams since freshman year, and I’d been practicing day in, day out ever since last year’s debacle. Rain or shine, I was out there. I practiced with friends, and if they couldn’t, I practiced and worked on drills on my own. Heck, I even quit orchestra to devote more time after-school to soccer. Come tryouts I was ready. I played pretty solid, so I was ready for my time to shine this time… I didn’t make it again. To know that I failed AGAIN at something that meant so much to me was just… awful. I didn’t know how I was supposed to keep going with the one thing that I loved. At the start of French classes, we used to always start things off going around the room saying what we did yesterday in French. I was a broken record — “J’ ai joué au foot” (I played soccer). What a flop! What a loser to fail AGAIN at his own passion! Well, that day, just like the 365 days before, I went out to the park with a ball and played on my own. Fast forward, and when I entered Tech as a freshman, I found out they had a club team. PERFECT! Yet another chance for me to break into the squad. And without much suspense for (since I’m writing too much), I made the Tech Team. It was an amazing feeling. It wasn’t a varsity team, but it was a team that represented the school. My best friends these days are from that Tech team. We were good. And right now, I play every once in a while on some different leagues throughout Atlanta with the expectations to win the game, the league, whatever. Now, I’m playing WITH those amazing athletes that I had always looked up to. I’m definitely not the best, but I’ve come to enjoy soccer that much more. I’ve made some great relationships, and it’s still probably my greatest passion. However, I don’t think I’ll be playing the English Premier League anytime soon. I’m okay with that. The moral of the story: If you work hard at your passions, you may still fail. However, you can’t keep your head down because you don’t know what great opportunities may lay in wait.